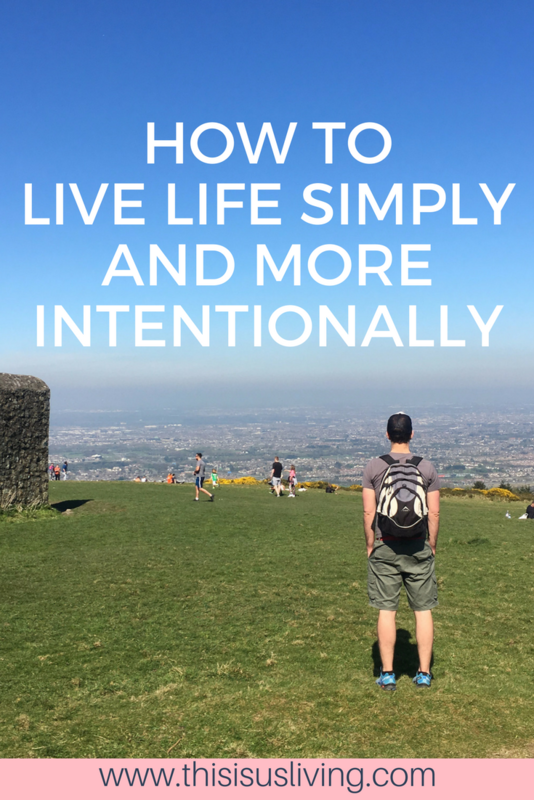 how to live life simply and more intentionally. 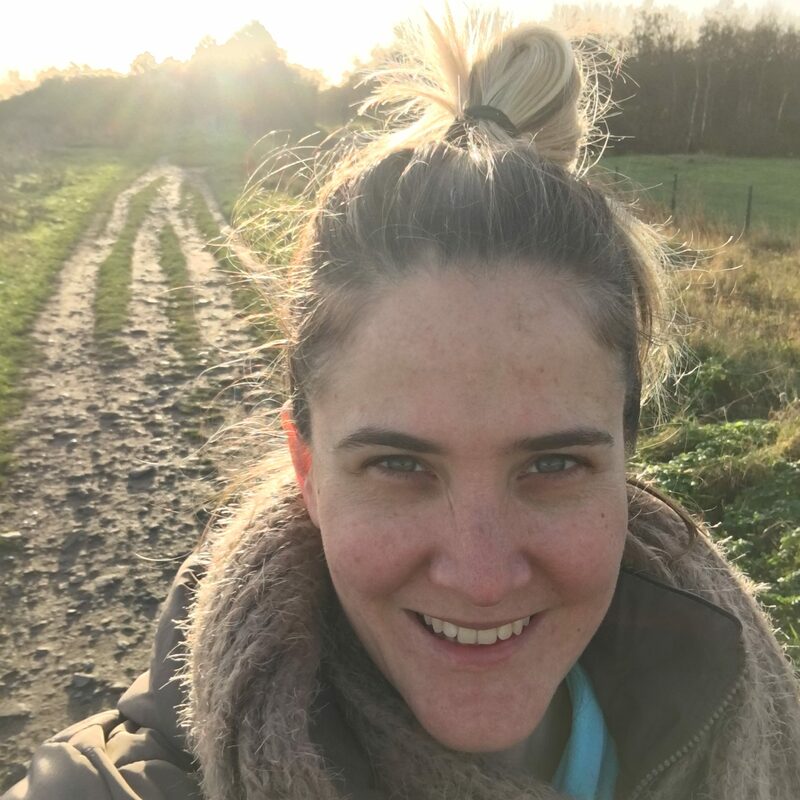 When Rob and I decided to move to Ireland we were adamant to make the move to really getting comfortable with our budget, what our focus in life should be and how we were going to get out of debt to be able to live the way we wanted to live. It sounds super hippy, but we wanted to really know ourselves and really follow our own path. Too often in life we focus on things that appear to be a big deal, we focus on showing off our success by the cars we drive, the money we spend and the life that appears to be just perfect. But life is’t perfect, and trying to compare your life to that of others is setting you up to fail before you even start. You cannot compare your journey to anyone else. But you can figure out what you want and what makes you happy, and then steer yourself towards that goal. For us the huge focus has been on getting out of debt completely, to save, and to travel. In order to meet those goals we cut back on a lot of the frills, and really through that decluttering process we realised that life can be pretty sweet if we live it more simply, and more intentionally. Less is often more. I know I sound like I am just listing off a bunch of motivational quotes but this is truly what we believe. Like with anything, learning to live with less is often first about becoming aware of our own internal dialogue. Sometimes I catch myself saying we need this, we should buy that, but upon further inspection – these are often fears of not fitting in, fears of not measuring up, and this feeling like we need instant gratification of buying something we actually don’t really need, and in some cases, don’t even want. The big thing that we have learnt is to think through a big purchase. Sometimes it is due to the fact that we simply could not afford to buy it right then, but choosing to delay the purchase till the end of the month often makes you much more aware if you really needed it in the first place. Using less means there is less wastage. Because we are so conscious of how much we have, and where our money goes. We have stopped buying food in bulk. We now stick to a weekly shop, and really work out what we plan to eat, and buy just what we need. It means that we don’t waste as much. We try eat up the food we have before we go and buy any more. What I have learnt is that if we keep to a meal plan, and allow pizza on Friday, we actually don’t ever feel like we are restricted, it is a bit like a flexible diet – although, not all together super healthy! We don’t hold on to things just in case, it means that everything we have in our house, we use and love. I use to save beauty masks, and keep candles for special occasions. Now that we have cleared all the extra clutter, we now take time to light the candles, have spa days, and actually enjoy the simple things we have in our home. We don’t keep it stored in a cupboard, we don’t hide the things we love – we use them, or we let them go. We have also learnt to say no when we really don’t want to do something. Not only if we don’t have the cash to afford an expensive meal out – if it doesn’t spark joy for us, we try not to waste money and time on it. So we have really learnt to un-busy ourselves. I like to keep at least one day a weekend completely free and unplanned. It leaves room in our diary, time to breathe, reset and focus on self care. I find having a day a week that is calm and uncluttered, helps improve my mood and clears my head. Be aware how you spend your time and money. I did an exercise on my Facebook group a few weeks ago where I asked my community to share the last 5 purchases they made. When you start listing off coffees, and take out, and gifts, and impulse buy of a magazine, a cheeky top you got for half price. You can see quite quickly where your money is going, but also it gives you chance to evaluate that if given the chance – would you make the same purchase again? You should have no regrets when you spend your money. 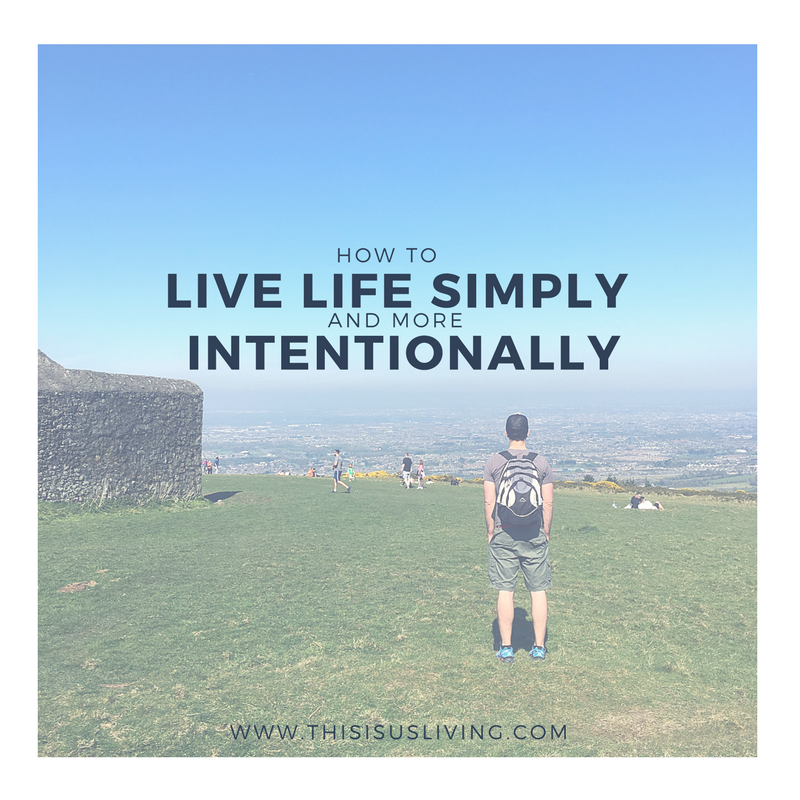 When you learn to live life more simply you will find that you will be a lot more cautious on your priorities and how you spend your money, but also how you spend your energy and time. HOW DO YOU LIVE LIFE SIMPLY? Definitely something we can all learn to improve on! Thanks Ashley, I think you will be surprised how liberating it is!